Make your dream cone true! 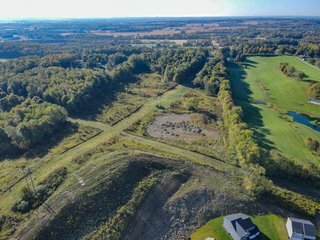 Great opportunity to be owner of 54.30 acres-tax district Union T-Granville-EVSD-Schools. Peaceful surroundings within minutes of Rt.37-Lancaster Rd. & Canyon Rd. Beautiful land with gently rolling pasture with frontage approx. 337.72 & depth approx. 2.786 ft. Pole barn approx 3,100 sq ft and a lean-to. Established driveway & electric at site. Good tree line and privacy! CAUV to transfer with new owner-Agricultural. New Price! 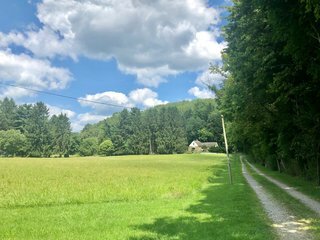 Note: Due to limitations of the Columbus and Central Ohio MLS, the farm and mini-farm listings are land and residential properties with 5 or more acres. There may be some properties that are in a subdivision which has restrictions preventing farming, or other limitations. Contact Dane Maclae of Bill Wernet Realty for more information on specific properties of interest.